Remember when retro was cool again with the 2005 Ford Mustang and every automaker lost their mind for awhile, and then eventually calmed down? Well retro is far from dead it seems as Peugeot has a concept coupe inspired by the Peugeot 504 coupe from the 1970s. 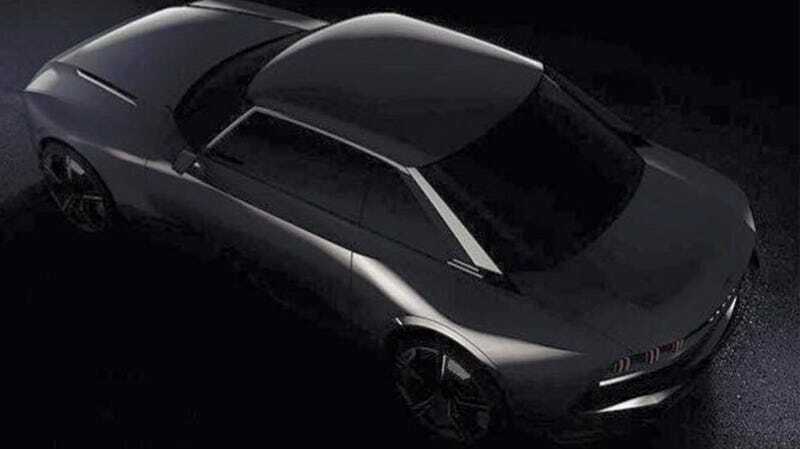 We only have a tease of the upcoming coupe, but its got the squarish proportions, greenhouse and je ne se quoi of classic Peugeots. There doesn’t even seem to be a name floating around—it could just be named the 508 Coupe, it could be called something else! As just about everyone has already pointed out, the boxy body and sloping wedge c-pillars that extend beyond the windshield are a very obvious modern interpretation of the front-engine, rear-wheel drive 504 coupe variant of days gone by. Let’s hope they stick with that formula, though I don’t think the company current sells anything with that layout. The teaser images, which you can see more of over at EVO, seem to show cameras for side mirrors, thin vertical LED headlight and taillight fixtures, and a funky-looking blade of some sort just ahead of the windshield. Usually this is the part where I’d say we could never dream of having this in America if it ever did come to production, but that may not be the case! If Peugeot’s parent company PSA keeps its promise of returning to the U.S., uh, eventually with cars to sell, hopefully they think we’re cool enough to sell these to us. The rest of the car is expected to debut at the Paris Motor Show, which starts on October 4.